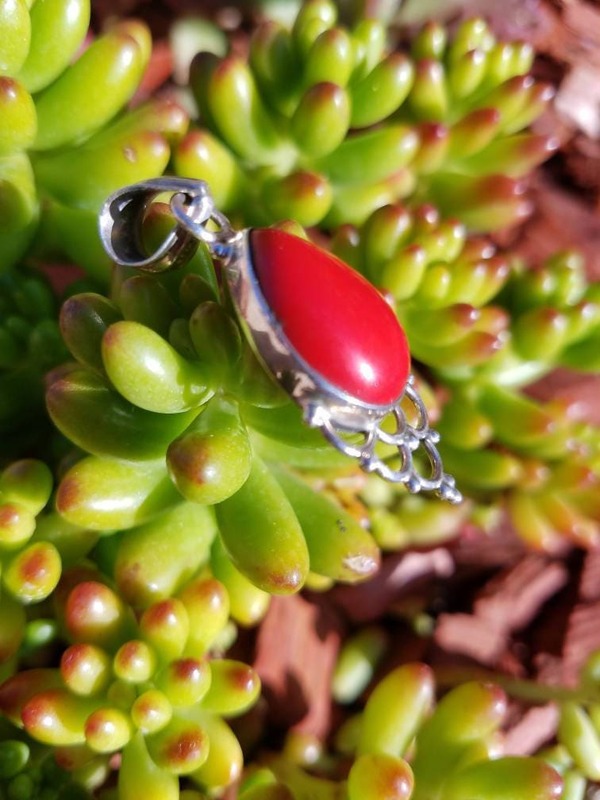 Love this Red Coral and Sterling Silver Pendant! 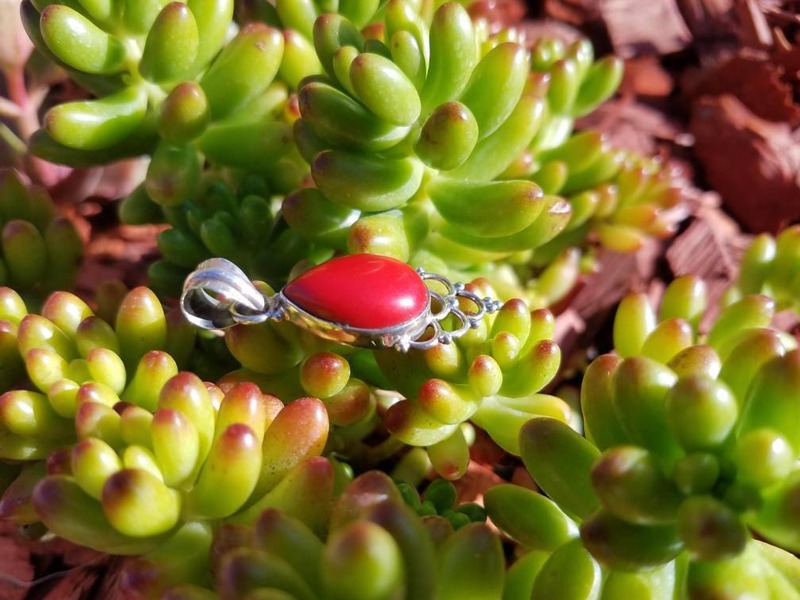 This Red Coral pendant measures inch and a half from bail to end. 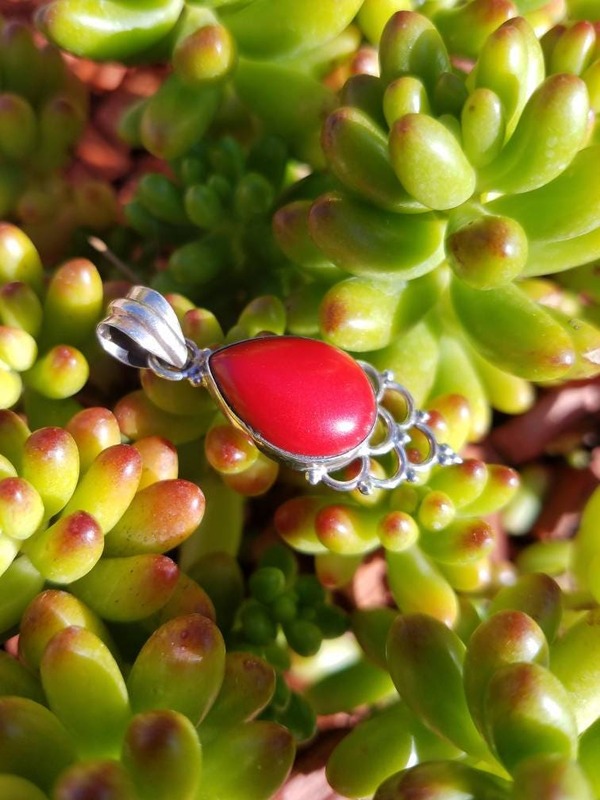 Can be worn alone or with other necklaces . Sorry chain is not included. Prefect gift for your grad ! Or Mom ! Or for yourself!